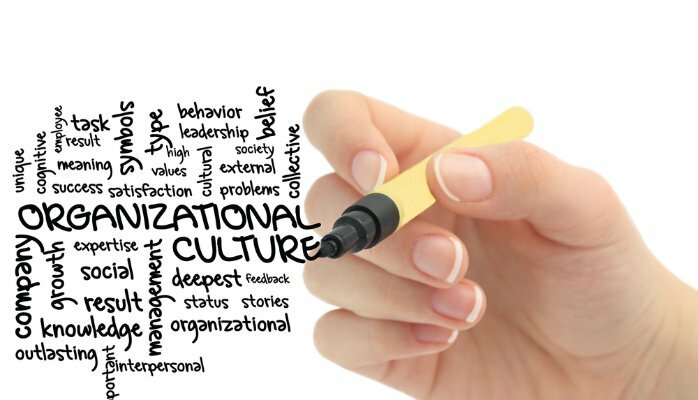 What Is Organizational Culture? And Why Should We Care? If you want to provoke a vigorous debate, start a conversation on organizational culture. While there is universal agreement that (1) it exists, and (2) that it plays a crucial role in shaping behaviour in organizations, there is little consensus on what organizational culture actually is, never mind how it influences behaviour and whether it is something leaders can change. This is a problembecause, without a reasonable definition (or definitions) of culture, we cannot hope to understand its connections to other key elements of the organization, such as structure and incentive systems. Nor can we develop good approaches to analysing, preserving and transforming cultures. If we can define what organizational culture is, it gives us a handle on how to diagnose problems and even to design and develop better cultures. Culture is consistent, observable patterns of behaviour in organizations. Aristotle said, "We are what we repeatedly do." This view elevates repeated behaviour or habits as the core of culture and deemphasizes what people feel, think or believe. It also focuses our attention on the forces that shape behaviour in organizations, and so highlights an important question: are all those forces (including structure, processes, and incentives) "culture" or is culture simply the behavioural outputs? Culture is powerfully shaped by incentives. The best predictor of what people will do is what they are incentivized to do. By incentives, we mean here the full set of incentives - monetary rewards, non-monetary rewards such as status, recognition and advancement, and sanctions - to which members of the organization are subject. But where do incentives come from? As with the previous definition, there are potential chicken-and-egg issues. Are patterns of behaviour the product of incentives, or have incentives been shaped in fundamental ways by beliefs and values that underpin the culture? Culture is a process of "sense-making" in organizations. Sense-making has been defined as "a collaborative process of creating shared awareness and understanding out of different individuals' perspectives and varied interests." Note that this moves the definition of culture beyond patterns of behaviour into the realm of jointly-held beliefs and interpretations about "what is." It says that a crucial purpose of culture is to help orient its members to "reality" in ways that provide a basis for alignment of purpose and shared action. Culture is a carrier of meaning. Cultures provide not only a shared view of "what is" but also of "why is." In this view, culture is about "the story" in which people in the organization are embedded, and the values and rituals that reinforce that narrative. It also focuses attention on the importance of symbols and the need to understand them - including the idiosyncratic languages used in organizations - in order to understand theculture. Culture is a social control system. Here the focus is the role of culture in promoting and reinforcing "right" thinking and behaving, and sanctioning "wrong" thinking and behaving. Key in this definition of culture is the idea of behavioural "norms" that must be upheld, and associated social sanctions that are imposed on those who don't "stay within the lines." This view also focuses attention on how the evolution of the organization shaped the culture. That is, how have the existing norms promoted the survival of the organization in the past? Note: implicit in this evolutionary view is the idea that established cultures can become impediments to survival when there are substantial environmental changes. 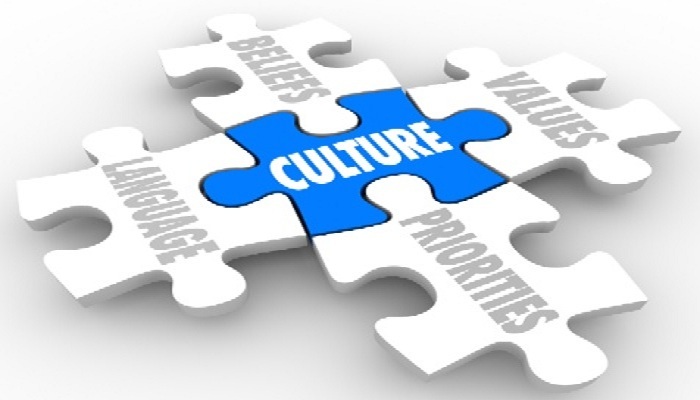 Culture is a form of protection that has evolved from situational pressures. It prevents "wrong thinking" and "wrong people" from entering the organization in the first place. It says that organizational culture functions much like the human immune system in preventing viruses and bacteria from taking hold and damaging the body. The problem, of course, is that organizational immune systems also can attack agents of needed change, and this has important implications for onboarding and integrating people into organizations. In the discussion, there were also some important observations pushing against the view of culture as something that it is unitary and static, and toward a view that cultures are multiple, overlapping, and dynamic. Organizational culture is shaped by and overlaps with other cultures - especially the broader culture of the societies in which it operates. This observation highlights the challenges that global organizations face in establishing and maintaining a unified culture when operating in the context of multiple national, regional and local cultures. How should leaders strike the right balance between promoting "one culture" in the organization, while still allowing for influences of local cultures? The cultures of organizations are never monolithic. There are many factors that drive internal variations in the culture of business functions (e.g. finance vs. marketing) and units (e.g. a fast-moving consumer products division vs. a pharmaceuticals division of a diversified firm). A company's history of acquisition also figures importantly in defining its culture and sub-cultures. Depending on how acquisition and integration are managed, the legacy cultures of acquired units can persist for surprisingly long periods of time. Finally, cultures are dynamic. They shift, incrementally and constantly, in response to external and internal changes. So, trying to assess organizational culture is complicated by the reality that you are trying to hit a moving target. But it also opens the possibility that culture change can be managed as a continuous process rather than through big shifts (often in response to crises). Likewise, it highlights the idea that a stable "destination" may never - indeed should never - be reached. The culture of the organization should always be learning and developing. These perspectives provide the kind of holistic, nuanced view of organizational culture that is needed by leaders in order to truly understand their organizations - and to have any hope of changing them for the better.